A stroke occurs when blood flow to an area of the brain is cut off. When this happens, brain cells are deprived of oxygen and begin to die. When brain cells die during a stroke, abilities controlled by that area of the brain such as memory and muscle control are lost. How a person is affected by their stroke depends on where the stroke occurs in the brain and how much of the brain is damaged. Stroke survivors often suffer from loss of strength, sensation, and function on one side of the body. Symptoms of strokes are caused by changes in blood flow to areas of the brain resulting in damage. Other symptoms commonly reported by stroke survivors include difficulty walking, impaired balance, difficulty speaking, fatigue, brain fog, impaired memory, extremity in a flexed position, difficulty focusing or concentrating. A stroke occurs when proper blood flow to an area of the brain has changed, and/or when brain cells are deprived of oxygen and begin to die. When brain cells die during a stroke, abilities controlled by that area of the brain such as memory and muscle control are lost. There are two main types of stroke, ischemic and hemorrhagic. An ischemic stroke is when blood flow to any area of the brain is interrupted and the area beyond the blockage is prevented from receiving blood. A hemorrhagic stroke is a brain bleed where the damage caused is due to leaked fluid suffocating the tissue. A stroke is a medical emergency. Early treatment with medications like tPA (clot buster) can minimize brain damage. Other treatments focus on limiting complications and preventing additional strokes. At Revive we focus on recovery. Revive utilizes research-based diagnostics to evaluate function in specific areas of the brain. Looking at eye movements, motor function, sensory function, cranial nerves, cognitive function, balance, and gait allows us to better understand which areas have been affected by the stroke. This allows us to develop a treatment plan that targets those regions and networks to make them stronger and more efficient. The Videonystagmography (VNG), or testing of eye movement, gives us a representation of the function of eye muscles, cranial nerves, brainstem nuclei, cerebellum and cortical regions. By measuring things like gaze stabilization, smooth pursuits, saccades, and optogenetics, we can differentiate the areas of weakness. Motor function analysis enables us to see the strength, tone, and coordination of the movement of muscle groups so we can better understand the regions and networks of involvement. Networks that are utilized in a movement or the coordination of movement involve the frontal lobes, parietal lobes, and the cerebellum. In our office, the physical examination is focused on not only finding definitive signs of functional deficits, but also catching the subtle changes which give us greater insight into the physiology and function. These findings are often considered irrelevant or ‘within normal limits’ in most conventional clinical settings. Balance test or vestibular testing gives us an insight into the function of networks that are needed for standing, walking, and even riding in a car. We look at the three main factors of balance (vestibular, proprioception, and vision) together and individually to isolate the areas of involvement. 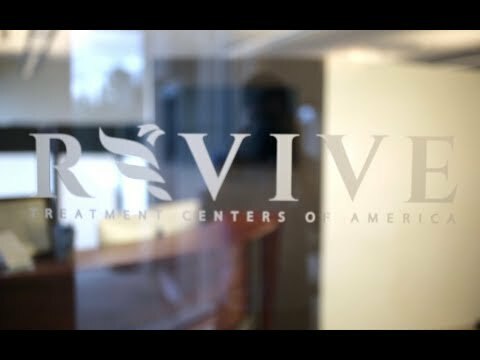 At Revive we specialize in providing treatment to the neurological regions affected by stroke. Your treatment can include balance, gait, and eye training; as well as hand-eye coordination, repetitive transcranial magnetic stimulation (rTMS), hyperbaric oxygen, diet, and supplements. Beyond the neurological system, there are many factors that can impact the presentation of stroke: the immune system, diet, sleep, and stress (to list a few). By integrating knowledge of the brain and influence of these factors, we are able to be very specific with targeted therapies which create lasting neurological changes. Your treatment plan is designed specifically for you and is not a protocol. Repetitive Transcranial Magnetic Stimulation (rTMS) sends a magnetic waveform through the skull that depolarizes the brain cells. rTMS can be directed at specific regions of the cortex to cause activation of the neurons in the area. Follow up study: The influence of rTMS with high and low frequency stimulation on motor and executive function in Parkinson’s disease. Hyperbaric oxygen therapy (HBOT) is the medical use of oxygen in a pressurized environment, at a level higher than 1 atmosphere absolute (ATA). Increased pressure allows for oxygen to dissolve and saturate the blood plasma (independent of hemoglobin/red blood cells), which yields a broad variety of positive physiological, biochemical and cellular effects. This noninvasive therapy is the most trusted way to increase oxygen levels to all organs of the body. The typical treatment lasts for 60-90 minutes, during which the patient lies down and breathes normally. HBOT has been demonstrated in several clinical studies to enhance the body’s innate ability to repair and regenerate. It is used as an adjunct therapy to complement and enhance the healing process in both chronic and acute conditions. Hyperbaric Oxygen Therapy (HBOT) has been shown to increase oxygen saturation to tissues and increase the amount of stem cell production and circulation. This allows for the greatest potential for healing in the brain. Regional gray matter atrophy and neuropsychologcal problems in relapsing-remitting multiple sclerosis. Functional Movement exercises and whole body vibration have shown tremendous results in increasing strength and self-awareness, while activating the cerebellum and areas of the parietal lobes. We utilize Electrical Stimulation (E-stim) in many different waveforms to increase strength, increase self-awareness, decrease spasticity, and active brainstem neurons. AL-TENS is a form of hyperstimulation described by Sjölund and colleagues in the 1970s. The intention of AL-TENS is to stimulate small diameter, high threshold peripheral afferents (A-delta) in order to activate extrasegmental descending pain inhibitory pathways. Non-painful muscle twitches occur during stimulation causing activity in small diameter muscle afferents. Electrodes are positioned over myotomes, trigger points, and acupuncture points. The term AL-TENS is used loosely in literature making the synthesis of research findings difficult. In effect, the ReBuilder acts like a pacemaker works for your heart’s electrical signals. If the pacemaker does not send exactly the right signal, then the four chambers of the heart may not pump in the right order and if the signal is too fast or too slow, the heart stops. So, too, the ReBuilder’s precisely controlled waveform coaxes your nerves to transmit their signals in the proper order. Although designated as a TENS relative to the FDA’s regulations, the ReBuilder’s signals are vastly more controlled and precise. The ReBuilder is typically used on patients as a neurological intervention to help with cortical remapping. If the brain is unsure of where the feet are in space after a stroke or other biomechanical event, the ReBuilder can help strengthen those signaling pathways. Additionally, vagal stimulation or gait protocols may be used for similar reasons. Cold Laser Therapy, also known as Low Level Laser Therapy (LLLT), has shown increases in mitochondria production in cells, helping to decrease inflammation and increase healthy cellular activity. When the cold laser is utilized as a transcranial (through the skull) therapy we see an increase in brain activation to the targeted areas. Vestibular/Rotational Therapy is a very powerful tool in the world of neurological rehabilitation. When we look at brain development we see that movement drive brain growth and one of the most important areas for sensing movement is the vestibular system. When we utilize rotational therapy to active the vestibular system we see an increase in activating in several cortical regions. Our multi-axis rotational device (GyroStim) utilizes the otolithic and vestibular system to stimulate and strengthen projections throughout the brain. By utilizing a controlled directional spin in our multi-axis rotational device, we can activate specific regions of the brain in order to affect a variety of different disorders. At lower levels of motion intensity, the multi-axis rotational device is used by those recovering from physical and cognitive dysfunction as a result of a concussion, traumatic brain injury, PTSD, autism, aging, and other conditions. At higher levels of intensity, GyroStim is used by active individuals, athletes, and others with fast-paced, demanding, high-stress lifestyles to maintain and enhance peak performance. “We are so grateful for treatment that we received at this clinic in May of 2018. The staff was very professional and we experienced great gains in Stroke Recovery. Our only issue is that we wish we had found them sooner. We are home now and implementing several therapies that we learned while being treated in their offices. Schedule a call with our team today.